Short interest refers to the number of shares sold short but not yet repurchased or covered. The short interest of a company can be indicated as an absolute number or as a percentage of shares outstanding. The short interest is looked at by investors to help determine the prevailing market sentiment toward a stockCommon StockCommon stock is a type of security that represents ownership of equity in a company. There are other terms – such as common share, ordinary share, or voting share – that are equivalent to common stock.. The trader will typically contact their broker, who will locate another investor who owns the stock to borrow the stock from them with the promise to return the stock at a predetermined later date. The brokerage may also loan the trader the stock from its own equity holdings. The trader pays feesService ChargeA service charge, also called a service fee, refers to the fee collected to pay for services that relate to the product or service that is being purchased. and/or interest to the broker for borrowing the stock. The trader will then immediately sell the stock on the open marketTrading Mechanisms - TradingTrading mechanisms refer to the different methods by which assets are traded. The two main types of trading mechanisms are quote driven and order driven trading mechanisms. As the stock declines in value, the trader will then repurchase the stock at the lower price. The repurchase of a shorted stock is referred to as short coveringShort CoveringShort covering, also referred as ‘buying to cover,’ refers to the purchase of securities borrowed by an investor to open and close a short position in the market. The process is closely related to short selling. In fact, short covering is part of short selling, which involves the risky practice of borrowing price. The trader will then return the borrowed stock to the broker and earn a profit. The profit is the difference between the price the trader received when they sold the stock and the price they paid to repurchase the stock. However, if the stock price rises after the trader sells short, then he/she will incur a loss when they have to pay a higher price to repurchase the stock. In the steps outlined above, short interest is created when the trader sells the stock but has not yet repurchased the stock (steps 2-3). The short interest in a company is used to assess sentiment around its stock. In other words, it provides insight into how investors feel about the company’s stock. For most stocks, there is an average amount of short interest that is commonly held by investors. When the short interest of a company increases, it is often a warning sign that the stock sentiment is bearish (negative) and that investors expect the stock price to decline. On the other hand, when it decreases, this provides an indication to investors that the stock sentiment is bullish (positive). Although short interest is important to investors, it should not be the sole determinant when making investment decisions. ShortSqueeze.com provides information regarding the short interest volumes of public companies. Facebook (Ticker: FB) shows a short interest of 34,462,100 with 2,380,703,100 shares in float. Determine the short interest for Facebook as a percentage. When talking about short interest, the topic of short squeeze often comes up. 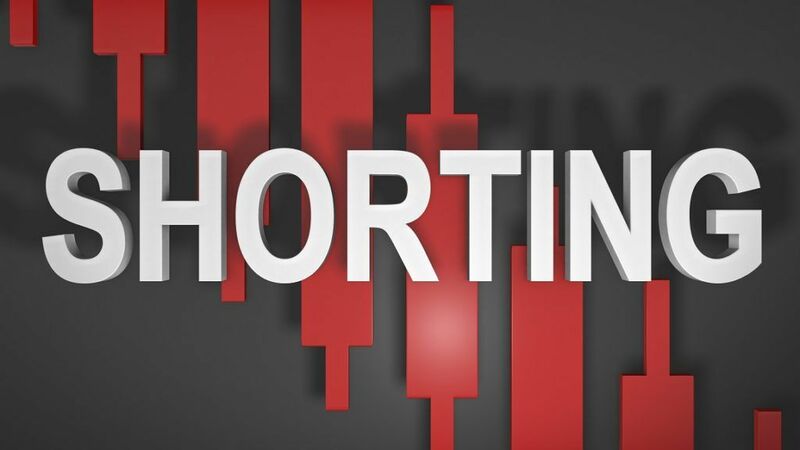 Short squeeze is used to describe a situation where a stock with a significant amount of short interest increases dramatically in price, forcing short sellers to cover their short positions in order to avoid incurring larger losses. A short squeeze is typically caused by a sudden positive development in a stock, resulting in a strong bullish sentiment and a sharply rising share price. In a short squeeze, traders who do not cover their short positions run the risk of suffering substantial losses. Stocks with a high short interest are more susceptible to a short squeeze. SignalingSignalingSignaling refers to the act of using insider information to initiate a trading position. It occurs when an insider releases crucial information about a company that triggers the buying or selling of its stock by people who do not ordinarily possess insider information. The actions of the insider are considered a market signal to outsiders.